for $245,000 with 1 bedroom and 1 full bath, 1 half bath. This 890 square foot home was built in 1970. MOTIVATED SELLER, BRING OFFERS!! LOCATION, LOCATION!! POMPANO BEACH SOUTH FLORIDA'S NEWEST HOT SPOT!! 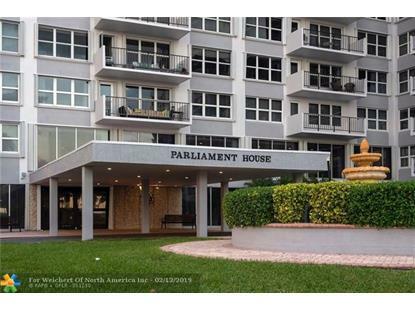 CHARMING & VERY SPACIOUS 1 BED 1.5 BATH LOCATED ON THE 11TH FLOOR LOCATED IN THE HIGHLY DESIRED PARLIAMENT HOUSE. 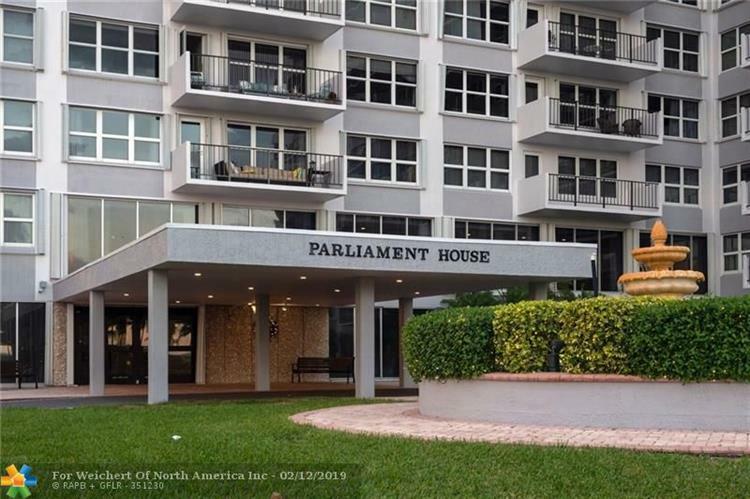 THIS CONDO HAS OCEAN AND INTRACOASTAL VIEWS WAITING FOR A NEW OWNER TO COME IN AND MAKE IT THEIR OWN!! BUILDING AMENITIES INCLUDE 24 HOUR SECURITY, COVERED PARKING, LARGE HEATED POOL, WORKOUT ROOM, SAUNA, INTERNET CAFÃ‰, B-B-Q WITH TIKI HUTS AND CARD ROOM. THE CITY OF POMPANO BEACH HAS SPENT 50 MILLION DOLLARS TRANSFORMING ITS BEACH INTO A RESORT FISHING VILLAGE COMPLETE W/ WATER TAXI, NEWLY CONSTRUCTED FISHING PIER, OCEANFRONT DINING, WORKOUT FACILITIES, CHILDREN'S WATER PARK & PLAYGROUND. DON'T MISS THIS FANTASTIC CHANCE TO BECOME PART OF ONE OF SOUTH FLORIDA'S HOTTEST CITIES.